Topic: A man tries to pick up a woman alone in a bar. This is an episode for advanced learners. Listen to a dialogue between native speakers. Learn a series of idioms and specific vocabulary related to cheesy pick up lines. — O senhor está-me a importunar. Importa-se de ir chatear outra? 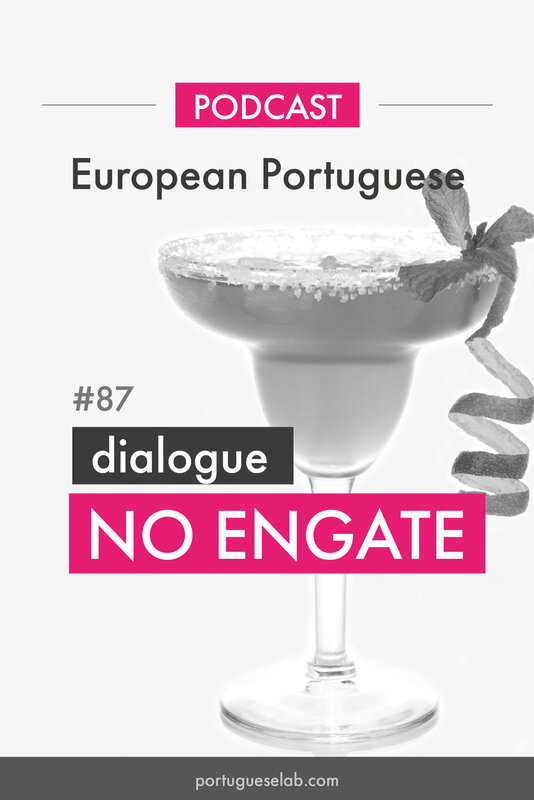 — Engatatões? E você é o quê? Já lhe disse que não estou interessada. Ponha-se a milhas.